You have voice and power beyond the ballot box. 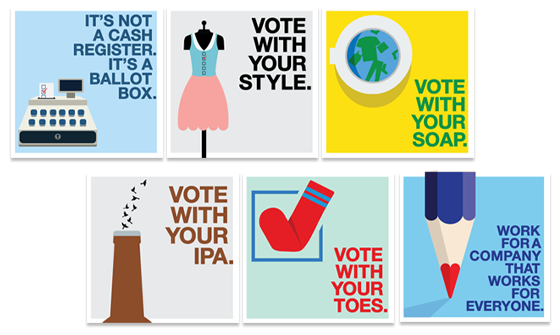 By buying from, working for and doing business with B Corps, you vote for what you believe in. Every day is election day. Take the 1 Minute Quiz - And Get Your Voter Guide!